Product prices and availability are accurate as of 2019-04-21 16:08:16 PDT and are subject to change. Any price and availability information displayed on http://www.amazon.com/ at the time of purchase will apply to the purchase of this product. 75 days. This is the darkest tomato bred so far, exceptionally high in anthocyanins.Anthocyanins are powerful anti-oxidants. 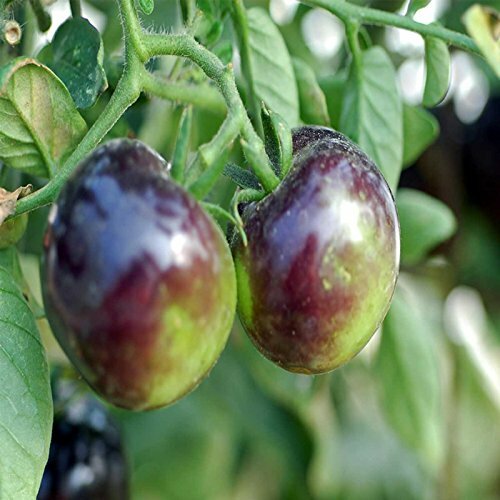 In the early stages of fruit development, Indigo Rose develops a dark purple pigment in its skin where exposed to direct sunlight. Green when unripe, purple-red when ripe, the 1-2 oz., cocktail-sized tomatoes have good flavor with 'plummy' overtones. Compact indeterminate.